Most people have very little understanding of the intricacies involved in divorce. One partner might wonder, “What is alimony?” as they make the decision to get a divorce. Alimony, also known as spousal support, are payments made by one partner to another allowing them to support themselves before and after the legal process is done. It’s important that anyone going through the process of ending a marriage in Utah get good legal advice on this topic. In Utah, you can be awarded spousal support if the court deems it necessary, and an Utah divorce attorney at Wasatch Defense Lawyers, with a reputation of achieving results, will advocate aggressively on your behalf to make sure the court understands why it is necessary. 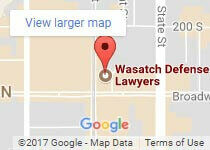 Contact Wasatch Defense Lawyers today for a free consultation. Both halves of a couple have the legal right to request alimony payments from the courts. 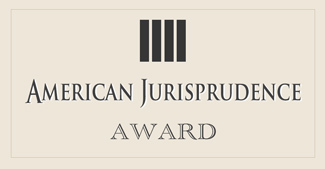 Judges take a number of factors into account when deciding whether or not to award alimony to someone. Financial Needs – What kind of financial condition will the requesting party be left in without receiving additional financial support? Income Earning Ability – How likely is it that the requesting party will be able to earn an adequate living? The courts look at things like whether one party was the primary child care provider while the other worked or how long they’ve been out of the workforce. Income Capacity – How much is the requestee currently earning? How much can they afford to pay each month to the other spouse? Length of Marriage –The case for alimony gets stronger the longer the couple was married. Child Custody – Which partner will assume primary custody of any minor children? The judge will account for the costs of maintaining a safe household. Business Contributions – How much did the requesting party contribute to help their other half build up a business that provided income to the household? Did they actively work side by side with their spouse? Education and Training Support – Did the requesting party work to help the other party go to school or gain job skills allowing them to earn more income? Would the other party be earning what they are without receiving that education? The courts look at the lifestyle the couple was living in prior to the divorce. They also take into account the current state of both parties in determining whether support payments should start before the divorce is final. Utah courts aren’t bound by any particular formula when it comes to determining spousal support payments. They may try to strike a balance between the incomes earned by each party. If one party earns less, the courts combine their monthly incomes and divide that amount by two. Support gets determined based on the amount it would take to provide both parties with an equal amount. Alimony payments in Utah generally last for the number of years the couple was married. Courts have the discretion of making that period longer or shorter based on the circumstances of the divorce. Who pays taxes on Alimony Payments? Alimony payments are considered as income. The recipient must report the payments as regular income. The payee gets to claim any payments made as a tax deduction. Alimony recipients automatically forfeit their rights to those payments if they remarry. The payee can go before a judge and request a release from their obligations if the recipient moves in with someone else. Obligations to make the payments also end if either party dies. Don’t lose out on what you’re entitled to because you failed to obtain the right legal advice. Our Salt Lake City Divorce Lawyers have experience handling issues related to alimony in Utah. We’ll make sure you get what you’re entitled to for the support you provided during your marriage.